One of the most outrageous myths floating around about Granite countertops off late, is that it requires frequent upkeep. Ask homeowners who have used Granite for the past decade and they would tell you how ridiculous that sounds. Sure. It demands regular cleaning like any other countertop material would. But it does not absorb liquids or get scratched like wood or laminate. And it has very little chances of getting stained unless you are pouring red wine bottles on it every other day and letting it rest. So why is granite resealed every year? The reason why experts recommend that you reseal granite every year is to ensure that the sealant is not weakened by the use of chemicals. Granite is a naturally porous rock when it is quarried from the earth. So, it can and will absorb liquids like most other stones. Sealers are a resin based solvent that create an impregnable barrier (a film) on the stone’s surface that prevents it from absorbing liquids and getting stained. The Granite fabricator applies the sealer and leaves it on the stone long enough for it to be absorbed into the surface. The solvent then gets evaporated binding the resin to the stone creating the barrier. However, sealers will only make it harder for the stone to absorb liquids. It will not make it impossible for the stone to absorb liquids. 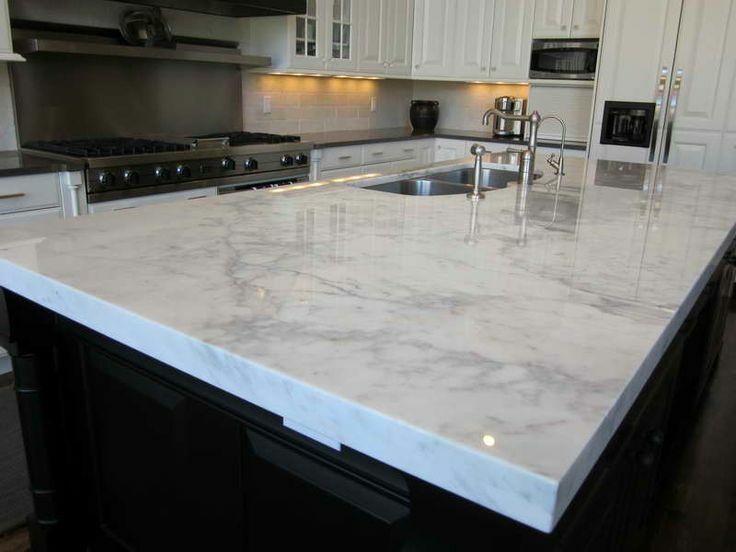 When you use chemicals and cleaners to clean the countertop or, when you accidentally spill acidic liquids or abrasive chemicals on it, these chemicals interact with the resin weakening the bond and also increasing the ability of the stone to absorb liquids and get stained. Over a period of time, the sealer keeps weakening and the absorbency of the stone keeps increasing. The Water test is a simple test that anyone can do to determine if their granite countertop needs resealing. Take ¼ cup of water and pour it on the countertop. Now note the time and see how long it takes for the water to get absorbed completely. Absorbed, not evaporated. Based on the results of the water test, you can determine if your countertop needs resealing. If the water is absorbed immediately, then your granite countertop may need annual resealing. Apply a couple of layers of sealer and ensure that you wipe off any liquids that are spilled on the countertop. If the water is not absorbed at all, then your granite countertop may not need resealing for years. If the water is absorbed within 5 minutes, then apply multiple layers of sealer. It may need resealing once every 3 to 4 years. If the water is absorbed within 10-15 minutes, then apply one layer of sealer. It may not require resealing for the next few years. If someone tells you that Granite is a stone with frequent upkeep, then they are most likely promoting another countertop material. If you love the look of Granite, go ahead and install it in your Toronto home.